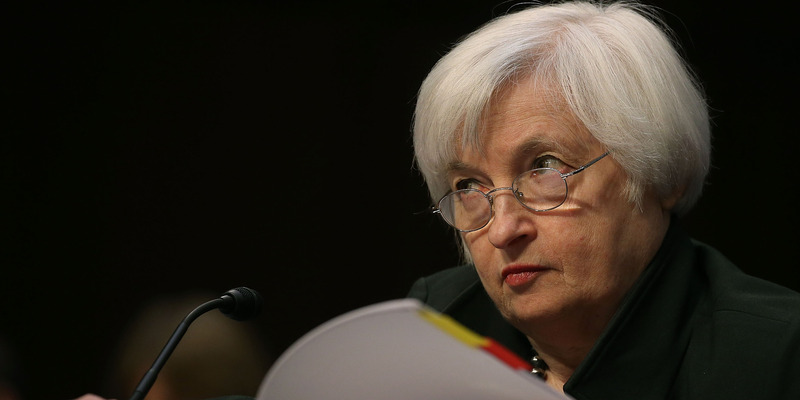 Mark Wilson/Getty ImagesFederal Reserve Chairman Janet Yellen testifies before a Joint Economic Committee hearing on Capitol Hill, December 3, 2015 in Washington, DC. President Donald Trump reportedly believed former Federal Reserve chairwoman Janet Yellen was too short to be reappointed to lead the Fed. Trump reportedly asked aides whether they thought Yellen was tall enough, at 5-foot-3 inches, to be reappointed. Based on other reports, Trump has commented on the physical appearance of other senior officials numerous times. President Donald Trump reportedly believed former Federal Reserve Chairwoman Janet Yellen was too short to be reappointed to lead the Fed, according to current and former officials cited in a Washington Post report. Trump reportedly asked aides whether they thought Yellen, a former economics professor who earned her doctorate at Yale University, was tall enough at 5 foot 3 inches to be reappointed, sources said to The Post. Despite an impressive interview with Yellen, according to the sources, Trump ultimately sided with advisers who suggested he choose another candidate. Trump appointed Jerome Powell, a former member of the Fed’s board of governors, to lead the Fed in November 2017. Trump appears to have soured on his nominee, who has mirrored Yellen’s steady interest rate hikes since his appointment. Interest rates were raised three times this year, and some analysts have predicted another upcoming hike in December. “They’re making a mistake because I have a gut, and my gut tells me more sometimes than anybody else’s brain can ever tell me,” Trump said in an interview with The Post. Based on other reports, Trump has commented on the physical appearance of other senior officials numerous times. The president was rumoured to have been dissatisfied with national security adviser John Bolton’s mustache, and commented that H.R. McMaster, Bolton’s predecessor, “looks like a beer salesman” in a suit. INSIDER contacted the White House for comment on the Yellen claims.